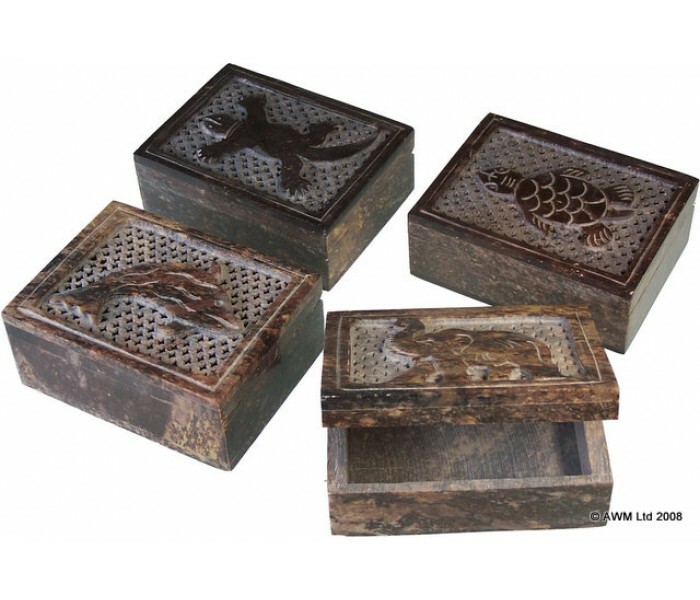 4 Animal Design Soapstone Jewelry Boxes - Oriental Gifts from Got-Bonsai? Set of 4 small (10cm x 7.5cm x 4cm) soapstone boxes with animal symbols carved on the lids. Hand carved from natural stone - each piece is unique. 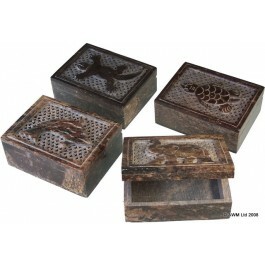 Set of 4 small (10cm x 7.5cm x 4cm) soapstone boxes with animal symbols carved on the lids. Hand carved in India from natural stone by skilled artisans near Agra, where the art has passed down through the generations - each piece is unique.